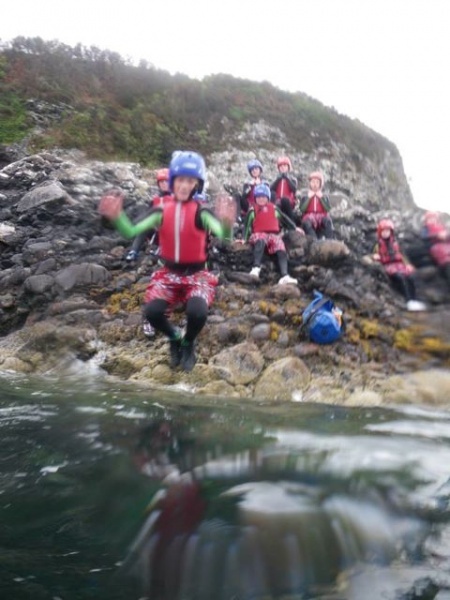 On Tuesday my class (p6/7) and all the other p6/7s from all over Islay and Jura went on a trip called Stramash. We had a very long journey to get to Oban but it was well worth it. After the journey we went to our rooms, found out our group buddies and set out on our first activity. Our group went Rock Climbing and Absailing. 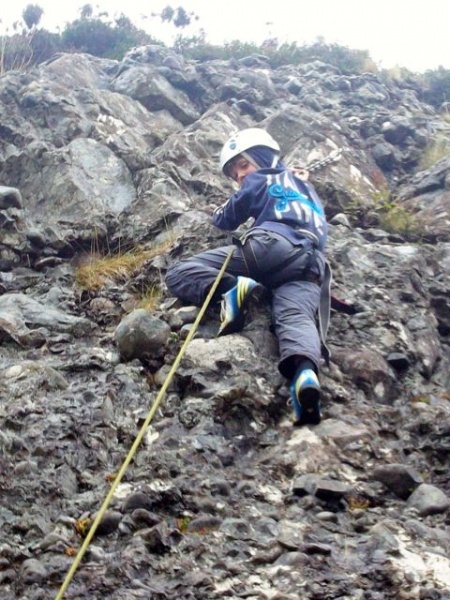 Rock climbing is very challenging but a brilliant thing to learn how to do. I bet you would love to absail down the Conglomerate rock (If you are into adventurous activities). Some people didn’t make it to the top, but at least they tried. Would you have tried? Or would you be a scaredy cat? 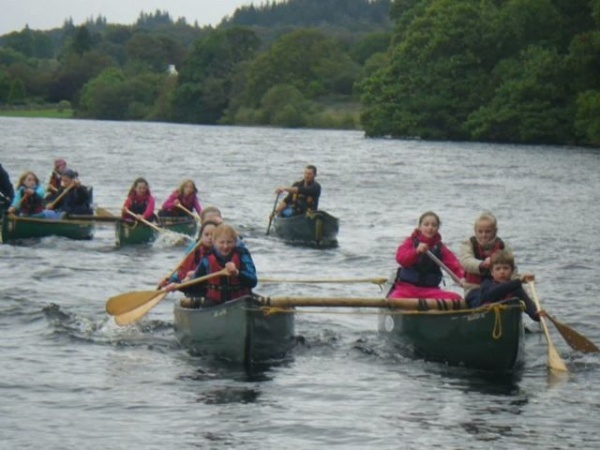 On the 24th of September schools from Islay and Jura met together for our exciting trip to Oban as part of Stramash. During this trip we done many activities and one of them was Dinghy Sailing. First of all we got taught how to put up the Dinghys correctly so it would be safe. 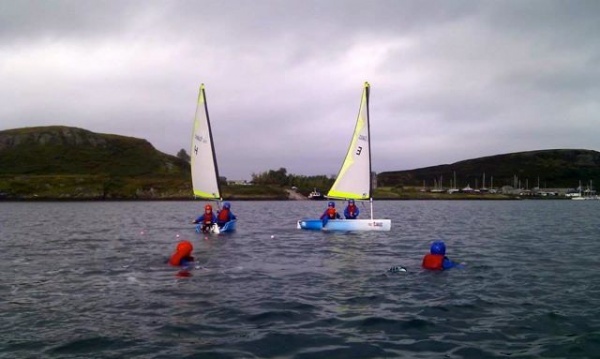 After all the hard work on putting the Dinghys up it was then a case of fitting in to wetsuits and buoyancy aids. Then we had to get the boats down to the shore and out sailing. After a fun sail around part of Oban we played a game where we had to collect balls. Emily Mackie from Port Ellen decided she wanted to win the game and quickly jumped out of the Dinghy but then she couldn’t get back on because Abbie Morris couldn’t stop the boat! At last she finally managed to stop the boat everyone was laughing. Then she got on the boat and sat down. They only lasted a few minutes before capsizing and sending them tumbling down into the sea. Only to loose all their balls. Luckily Abbie Morris hitched a lift with Chloe from Keills and Maisie from Port Ellen. Maisie felt sorry for Emily so she went to help her, this included jumping off the dinghy. Then we couldn’t get the boat back over so we ended up getting a lift with the boys. Soon it was getting nearer dinner time so we had to leave however we were running late so instructors Nicky and Andy decided to give us a tow by the Motor Powered Boat. They started joking about not having enough fuel but then they realized they spoke too soon because THE BOAT RAN OUT OF FUEL! They were hoping to row back with oars but then they both broke with a SNAP!!!!!! Full of laughter in `us we ended up having to sail back and then walking to the bus absolutely drenched! When we got back to the Hostel we were so excited to tell all our friends about the funny but cold event! On Tuesday 24th September Port Ellen primary school and other schools met at Port Ellen pier to go on the ferry. When we got off the ferry we went on the bus and went to Oban for Stramash. When we got there we did some archery. 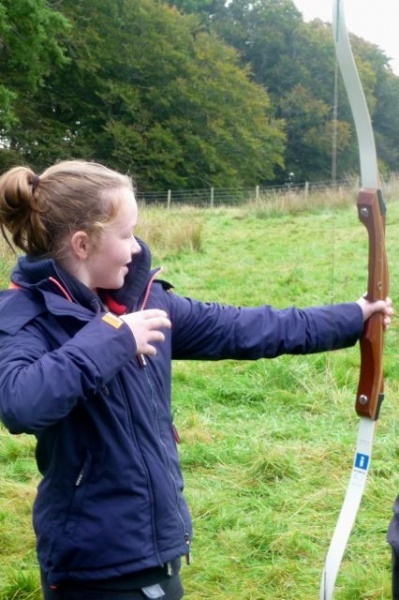 It was funny when Elizabeth pointed the arrow to the teacher and the teacher thought she was going to shoot it at her! After that we played a game and we had to split the group in half. We had a challenge and the other team won and the next time we did it my team won. We all had a great time and we didn’t want to go.